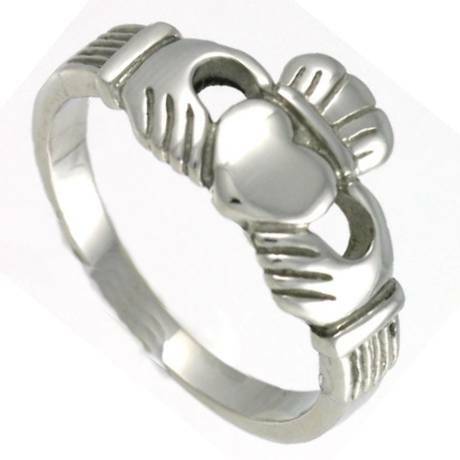 Claddagh ring in stainless steel makes a great wedding band or commitment ring. 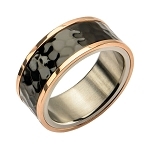 This ring is made from Surgical Steel and is of the highest quality. Bought this for my 14 year old son. Not knowing if he would like wearing a ring, I didn't want to spend a lot of money, but I wanted a good-looking ring. 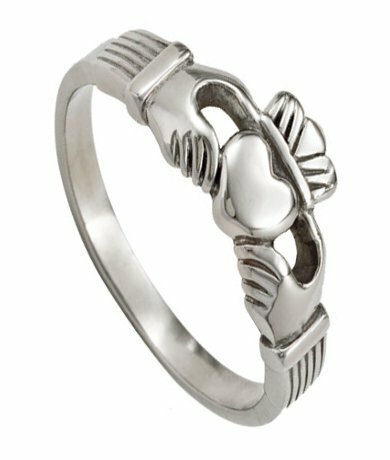 I searched for a long time for a Claddagh ring that wasn't too big, had a nice crown,good-looking fingers, and not a flat heart. I wasn't sure what to expect from stainless steel, but it's very nice. He hasn't taken it off. I highly recommend this ring and this retailer.